Going through a divorce is an emotional, stressful experience. During this time, the last thing you need is a lawyer who causes additional stress. Let us be your advocate. Our attorneys provide responsive, personal service ─ keeping clients updated & making a point to return calls the same day. Wilson Law Group strives to help clients through the divorce process in mediation, negotiation, and at trial. We also help with appraising and property division. We help parents navigate through Oklahoma family court, including creating a parenting plan and schedule that works for you ─ and your children. If you're looking to expand your family through adoption, Wilson Law Group can help the process go smoothly, whether you're a stepparent or you're just wanting to proceed with a private adoption. Wilson Law Group can assist clients with criminal misdemeanors, including DUI/DWI and other alcohol offenses. We strive to handle these matters discreetly and expeditiously. 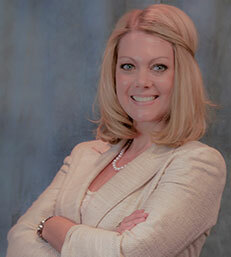 Allison is committed to the diligent and effective resolution of cases. With a focus on family law, divorce, and child custody, she is ready to aggressively litigate your dispute. 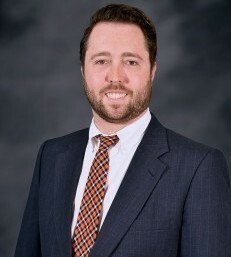 Luke is committed to helping his clients through each step of the legal process with a main focus on family law, child support, and misdemeanors including DUI/DWI. Because every case is unique, we will customize a plan for you and your family. We partner with clients, working closely together throughout the case so we have a thorough understanding of each person's legal needs. To schedule a consultation, complete the form to the right, or call 405.332-5577.